It’s always when I’m not looking, that I find ’em. There is always unmitigated delight when the discovery dawns. Finding a face, a patient little character in an inanimate object, is on my Top Ten List of Fab Things to Happen in a Day. This amicable (elephanty?) soul, unearthed at Camberwell Market a year ago, has always been thoroughly appreciated for his supreme pencil sharpening talent. Yet, until now, he has been socially ignored. Rest assured, since his discovery yesterday afternoon, he has been fully welcomed and inducted into the Myrtleandeunice household. Some of us ate cake to celebrate. 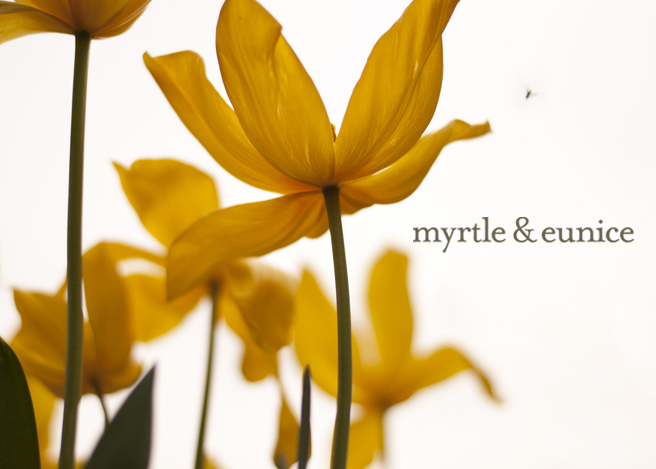 Have you spotted any critters lurking in your house? Do you also chat to your cheese grater or commiserate with your fence paling? Ages ago I set up a Finding Faces Flickr group, forgetting that I’m a tad lazy when it comes to being a good Flickr-er. But inanimate objects are a social bunch. There’s animated talk of a party. Consider this an open invite. (AND HAVE YOURSELF A MIGHTY FINE WEEKEND. WITH LOTS OF PARTIES. OR KNITTING. OR KNITTING AT PARTIES. WHATEVER TAKES YOUR FANCY). I LOVE that pencil sharpener! Have I told you how much I enjoy your world lately? I do so enjoy it....cheers! Oooo, luvely pencil sharpener. Has it got a twin? Do you think it would be acceptable to crochet a granny or two at my daughter's 18th Saturday night? Possibly not! Too busy in the kitchen preparing and serving food. Plus said daughter has put some wonderful compilations of music together and I feel I will just have to fit in some dancing around keeping the guests happy. I sometimes see faces but mainly hearts. after the recent floods I am delighted to see a heart shaped puddle at the bottom of the driveaway. I think I will knit and par-tay and shake a groove this weekend. You have a good one to! Wot a big nose you have sharpener, and cute little ears too. As a kid I would happily sharpen away most of a pencil just to wind the 'elephant' up. How cute! I love finding 'faces' in inanimate objects. I find my objects faces tend to either be friendly or mean and that impacts on whether I continue to like the object or not. Your elephant has a friendly face; he's just lovely!! ooooh i would love one of these. my mum was kindy teacher, and when i finished school, i would go to her classroom to 'help' her. she would ask me to sharpen to colour pencils (remember the thick ones?)... now i think about it, it was such a cunning plan to keep me out of the perkins paste. I would be mighty excited at finding a sharpener such as this...they were in all the class rooms when I was a child. Me and my children will often sit and cloud gaze trying to come up with different shapes and such...must keep an eye out for 'faces' more often. I have revived an envy of major proportions for your elephantine pencil sharpener. They were always the kind that only teachers had at school, sitting on their desks where you had to use them measuredly under scrutiny in case you just happened to overuse it and it ate your pencil entirely. To have one for private use is just luxurious! He looks a bit startled to be noticed "oh! I thought I'd got away with hiding." Mostly doorknobs in my house. But I shall look anew. Knitting yes, parties most unlikely. Cake, any excuse for cake! I want a pencil sharpener like that so much!!! i want to bring my sewing machine to a party. so serious. i would LOVE that. i brought it on my recent car vacation, and it has been such a good party friend, in our hotel, with all of my husbands family. ha!!! Have you added a big box of pencils to your weekly grocery list now ? I feel an instant affinity with your cheese grater. Camberwell you say? Camberwell in that London? See your needle felted toast? It's true genius. How did you manage to make my mouth water and make me want to reach for the apricot jam with just some fuzz and fibre? Skill, that's how. 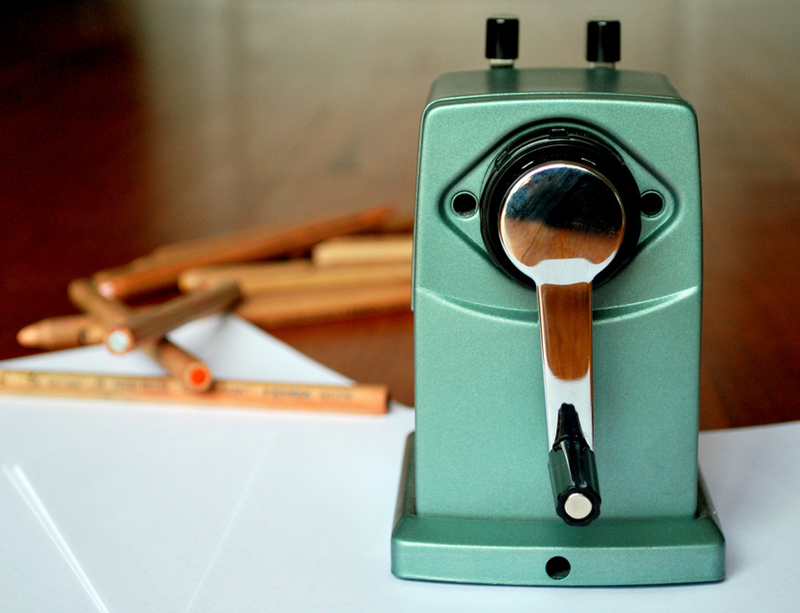 I love those pencil sharpeners, and to have such a happy placid face on it is just an added bonus. There's a couple of 'faces' I see on my walks that always make me think of you, just a shame I'm never organised enough to have my camera with me (along with the twin pram, dog, and various winter woollies.... oh and babies too...).